Hydrilla verticillata (L. f.) Royle is a hydatophyte with a disjunctive semicosmopolite range playing a significant role in the functioning of aquatic ecosystems. The structure of the coenocompleх of the species in northern Eurasia includes 19 associations belonging to 17 formations of the freshwater macrophyte vegetation. Ninety-one species of hydromacrophytes have been recorded as part of the phytocoenosis with the participation of H. verticillata. Associations Hydrilla verticillata (Northern Eurasia) and Nymphaea candida— Ceratophyllum demersum + Hydrilla verticillata (Eastern Europe and Western and Central Siberia) have the widest geographical range. 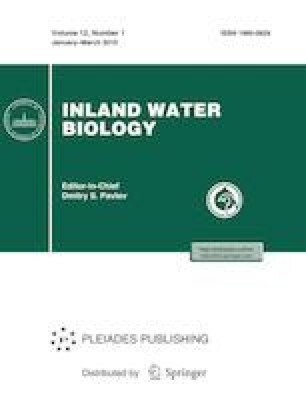 This paper describes the tolerance limits of H. verticillata to major abiotic factors: type of bottom soil, flow rate, trophicity, saprobity, alluviality, and content of main ions of dissolved salts and soluble forms of heavy metals in the water. In environmental terms, H. verticillata should be regarded as a freshwater alkaliphylic oligo-mesotrophic oligo-β-mesosaprobic mesoalluvialitic psammopelophyt. We are grateful to T.V. Sviridenko for help in determining samples of macroalgae and L.M. Kipriyanova for advice on methodological issues and reviewers and whose comments improved the quality of publication.